In an article recently published by the California Dental Association http://www.cda.org/ they tell the shocking story of a California Dentist who gets a call from her IT guy telling her that her office server has been hacked and all her patient data has been locked. The only way to get it back is to pay a ransom to the hackers! This new crime uses what is now being called “ransomware”. The hackers break into your system and lock all your important files. Your data and your practice is held hostage until you pay a ransom. Some versions of this story are even more dramatic where the hackers only give you 72 hours to pay or all your data will be erased. The typical ransom can be up to $500. Authorities don’t seem to have any power to you help recover your data. The only advice given is to not pay the ransom. But then what?! If you own your single site practice it’s likely you face the same challenges that effect many small businesses. Unfortunately many dentists spend their training learning the art and science of dentistry and not the skills necessary to successfully operate a small business. 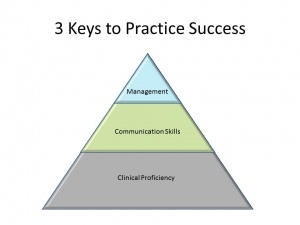 To run a successful practice today’s dentist/owner needs to have command of three basic skills: Clinical proficiency, Communication Skills, Management. The Medical industry has been pushed by policy and legislation to rethink the way healthcare is delivered. For now dentistry has largely been immune to these pressures. What lessons can be learned from the painful transformation in medicine and how can this help dental practices deliver quality care while protecting profits? This common 1.5 Million dollar risk you may be taking with your practice will shock you! When we speak to dental practice owners about their patient records, they usually say the same thing, we are secured and HIPAA compliant. After a short conversation we usually find the same common holes in their system. 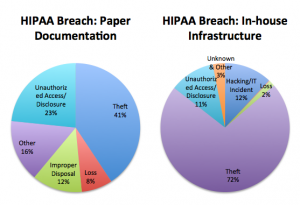 It seems many practices have the same mentality when it comes to data back up and security. Most of the time this works…until it doesn’t. For those unfortunate few this can lead to a fine of up to $1.5 million. Few practices can survive that. Because most practices are in jeopardy there is a security in knowing you’re at risk but you’re not alone. In aviation this is known as the ‘big sky’ defense. This is the term some pilots use to calm nerves about mid-air collisions when flying in airspace that is not monitored by air traffic control. The thought is that it’s a big sky so it’s unlikely someone will hit us. That’s not exactly the most comforting thought when you’re 20,000 ft up. Luckily for us most commercial traffic is closely monitored and multiple systems are in place to protect us when we fly. What’s the big deal with cloud based software? What is the difference between cloud software and traditional software (and why should I care)?